When we get new gear we will often sell off old equipment! Check back often to see what we may have up for sale! Canon Canon EF 100-400mm F4.5 – 5.6 L IS. This is a great lens for anyone shooting Wildlife, Air shows or Outdoor sports during the day. Very versatile lens that is also great for travel. In excellent condition. Includes Lens, Hood, Lens Cap, Body Cap and Original Box. 1100.00 Local sale in Calgary Area only . Will not ship. White version Tele-Converter with pouch. Extend the reach of your telephoto or zoom lens 1.4X. In Excellent Condition. 175.00 in Calgary, AB area. Will not ship. 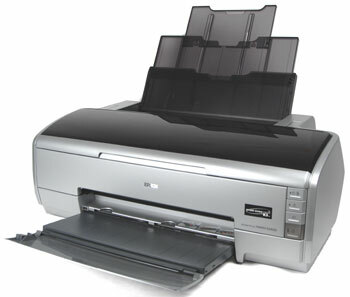 Sold Epson Stylus Photo R2400 Printer with extra Ink Tanks and USB Cable. This printer is a wide format printer capable of making beautiful prints up to 13×19″. It handles rolled paper and canvas as well as Fine Art Papers and with the included tray can print on CDs and DVDs. Also included some new extra Ink cartridges besides what is currently in the printer. Printer sells refurbished from Epson Canada for 600.00 with this package you are getting about 200.00 worth of ink!